On 4 February 2017, in keeping with Beijing’s “One China” policy, Cambodian Prime Minister Hun Sen has stated that the raising of Taiwan’s flag is forbidden. The same protocol is extended to Tibet, with the Prime Minister citing loyalty to China’s sovereign rule of both territories. In doing so, Cambodia backs China in land disputes and therefore does not recognize Taiwanese or Tibetan claims for the right to self-determination. PHNOM PENH, Cambodia — Cambodia’s prime minister says raising Taiwan’s flag is banned because Cambodia follows the “One China” policy promoted by Beijing. Hun Sen, in a speech to the Cambodian-Chinese Association posted on his Facebook page, said he welcomes investment from Taiwanese businesspeople, but that respecting Chinese sovereignty means acknowledging Taiwan is a province of China. He said in his remarks, delivered Saturday (4 February 2017), that Taiwan’s flag shouldn’t be raised on its national day. 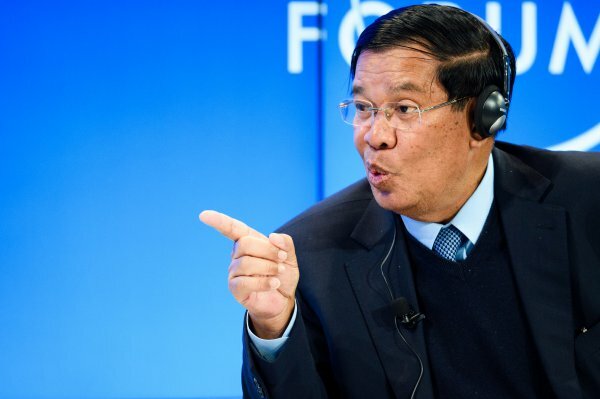 Hun Sen, who has led his country for three decades, said this has always been his policy. He has in the past rebuffed Taiwanese efforts to open an official representative office in Cambodia, and reaffirmed that position in his speech. He also told his audience that Cambodia holds the same policy toward Tibet, recognizing China’s sovereignty against claims for independence of what China calls the Tibet Autonomous Region. China is impoverished Cambodia’s key ally and economic partner. It has provided millions of dollars in aid and investment over the past decade, granted it tariff-free status on hundreds of trade items, and written off debt. In return, Cambodia supports China in international forums, including in Beijing’s ongoing territorial disputes with other Southeast Asian countries in the South China Sea.